Early departure, we drive through Somerset West, over Sir Lowrys Pass to Hermanus passing a few farm stalls on the way for some 'Padkos'. Whale watching is popular in Hermanus, some wine tasting, wine purchasing, town orientation, lunch and return via the famous Clarence Drive, passing Betty's Bay to Gordons Bay Naval Base, then onto Cape Town. Stunning views, country driving, Kogelberg Biosphere is on our return route, Penguin Colony and hopefully we see Whales on this Tour. Boat trips are also available. 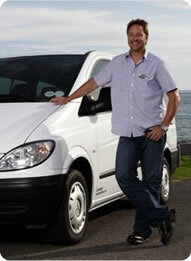 Pick up at your Hotel, head towards Franschhoek, Stellenbosch and the Paarl Wine Areas. We will do Cellar tours, wine tasting, lunch and return to Cape Town. Our excursion takes us on a circular route as to show you more of the areas. Additional stops if requested are Butterfly World, Motor museum, Cheetah Reserve, Lion Park, Historical sites, the "Town's" orientation tours, Brandy tasting, shopping, curios and a fantastic drive in the country. Wine Touring on Horseback is an option when we in the winelands. Pick up at your Hotel, drive around the Peninsula to Cape Point, we go into the Reserve, look for some animals, view the 2 Oceans, have lunch and return to Cape Town. We will drive along the beautiful Atlantic Sea Board, the Stadium, Clifton, Camps Bay, Over Chapmans Peak Drive, Simons Town Naval Base, along Boyes Drive, sight see at Shark Spotters, pass through Constantia wine region, a brief tour or the Cape Town City and back to your Hotel. We could see Whales, Dolphins, Penguins, Baboons, Antelope, Ostriches, with fantastic views of the Table Mountain National Park as our backdrop. On this Tour we can combine many interesting items. 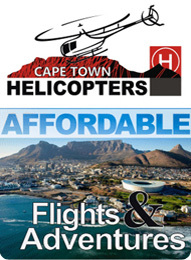 Table Mountain, Lions Head, Churches & Mosques, Monuments, our Stadium, The Castle, Company Gardens, Bo Kaap, Long street, famous Adderley Street, The Waterfront, District 6 Museum, Green Market Square and basically anything you would like to do, time allowing. We will be mostly driving with a few walks in between, lots of opportunity to purchase curios, souvenirs and gifts. Day drives are possible or stay a few nights to get a real feel. Day game/Safari drives, game walks or mountain biking. We choose BIG 5 game reserves that are a few hours away from Cape Town. We can also visit game Lodges that do not host the BIG 5 but many most of your popular Antelope etc. We can also visit the Cheetah Park and Lion Park just as a day trip. Malaria free areas which is a real bonus for us here in the Cape. "Gansbaai", South Africa is a world renowned hot spot for great white sharks and the birth place of shark cage diving. Marine Dynamics shark tours combines luxury with adrenaline filled thrills and professional staff. Your choice makes a difference and Marine Dynamics shark tours supports critical research on this endangered species. Join our experienced guides, crew, and on-board marine biologists for a once in a lifetime encounter with the ocean's apex predator, the great white shark, while also supporting their conservation."